Seabrook, Texas the name alone beckons visitors. Seabrook is a small town on the Texas coast just 30 minutes south of downtown Houston. Residents and visitors alike treasure this vibrant community for its resort-style experiences along Clear Lake and Galveston Bay. In March 1903, the Seabrook Company of Houston filed a revised layout of the proposed Seabrook town site, which appealed to local farmers, fishermen and merchants. And then some years later, in 1961 local leaders had the city incorporated. In 1964, not long after the city became incorporated a bridge was built between Kemah and Seabrook plus State Highway 146 was established as a four-lane highway. 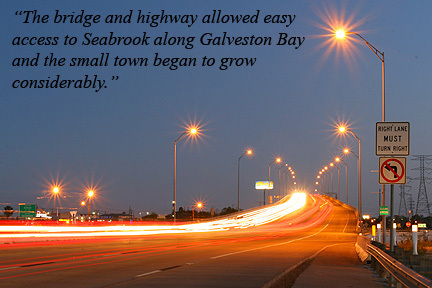 The bridge and highway allowed easy access to Seabrook along Galveston Bay and the small town began to grow considerably. Quality of life in Seabrook is enriched by its coastal location. 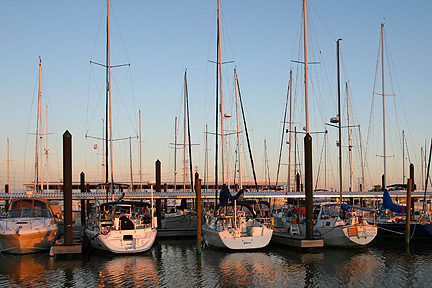 The Galveston Bay has a mixture of recreational and commercial resources that brings visitors from across the nation. 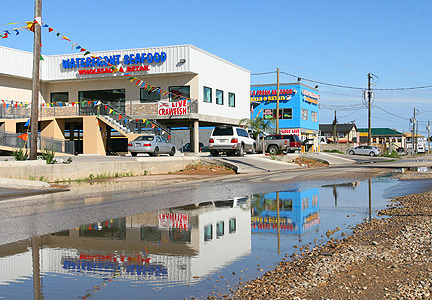 Locals say visitors must taste the fresh seafood Seabrook has to offer; popular fish markets can be found throughout the city. Old Seabrook is a must see. Rich in history, Old Seabrook has an array of unique shops, fine dinning and cozy bed and breakfast style lodging. Speaking of breakfast, El Lago Coffee is a great way to start the morning followed by shopping in Old Seabrook. 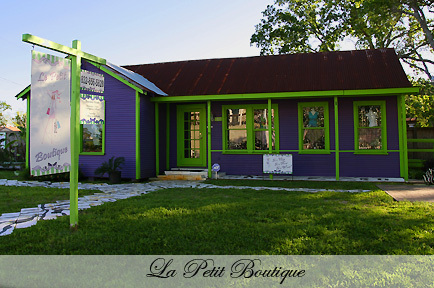 Shoppers will find something for everyone including their dog if they stop by Buddy Bites or check out La Petit Boutique owner Melinda Emmons specializes in stocking her boutique with the current trends in clothing and jewelry. For those planning a vacation to the Texas Gulf, Seabrook is the perfect place stay. Seabrook is conveniently located just minutes from several Bay Area attractions including the Kemah Boardwalk and NASA Space Center. Seabrook is also just a short drive from the Port of Galveston for those planning to take a cruise. The hotels in the area are top quality and offer their guest several amenities and even discounts to local attractions. The Comfort Inn & Suites NASA, Comfort Suites Seabrook, the Hampton Inn, La Quinta, Quality Inn Yacht Club Basin, and the Spring Hill Suites Houston are just a few of the hotels in the area. For those looking for bed and breakfast style lodging, Seabrook has that too. The Beacon Hill Guest House Bed and Breakfast, the Palm Lodge, and the Old Parsonage House are some of Seabrook’s finest B&Bs. Both residents and visitors enjoy the many parks and amenities Seabrook has to offer. Seabrook parks cover of over 100 acres and include two boat ramps, two public pools plus a 1,000-foot salt water fishing pier. For the outdoor enthusiast, Seabrook has an extensive hike and bike trail system. The trail system connects several Seabrook parks and is perfect for those who enjoy nature. 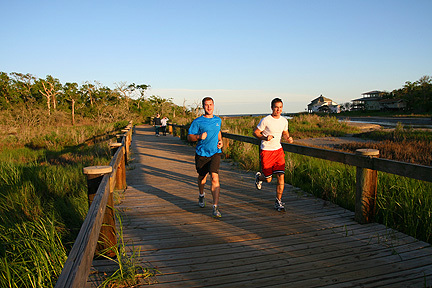 Each year in March, Seabrook is host to city to the Lucky Trails Marathon. This two-day event is great for hard-core runners, but also includes fun activities for the whole family. The marathon is run on the Seabrook trail system, so runners not only enjoy a great fun run, but also get to take in Seabrook’s scenic views. 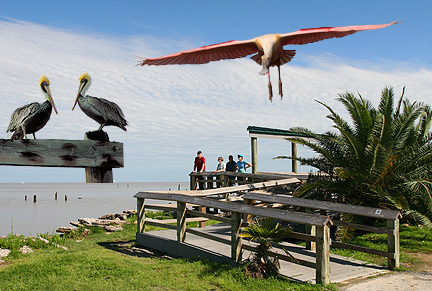 Seabrook is a bird-lovers paradise, home to approximately three hundred diverse species. As listed on the Great Texas Coastal Birding Trail, bird watchers are likely to spot several varieties of pelicans, ospreys, waxwings, warblers, sandpipers, buntings and many migrant songbirds. The 1,000-foot fishing pier can be found at Pine Gulley Park. Pine Gulley is more than fifty acres and encompasses a Karankawa Indian camp site, wetlands, wooded area, nature trails and has several amenities such as restrooms, picnic tables, BBQ grills and playgrounds. The city pool is located at Miramar Park and has 30’ water slide, two pools, volleyball courts, plus a concession stand. The pool is open during the summer and residents receive discount admission. The Lakewood Yacht Club offers lakeside sailing school and charters. Classes and charters are available daily, overnight and on weekends. They even offer classes for children and dinner cruises. Houston Party Boats and The Spirit of the Texas Paddlewheeler is located in Seabrook inside the Marina on Nasa Parkway. Their boat rides are unique and fun and can be the perfect venue to hold an event, party or even wedding. After a long day of site seeing, biking, fishing, sailing and swimming several visitors and residents will enjoy a good meal in one of the many Seabrook restaurants. Seabrook is infamous for it’s dining. Tookie’s is nationally known for their juicy burgers, or for those wanting to grab a slice at Mario’s Flying, it is sure to hit the spot. The Villa Capri on Clear Lake is home to variety of seafood and Italian dishes prepared Capri-style and the Signature Bistro has an elegant but casual atmosphere perfect for lunch. Outrigger’s is the place to experience seafood at its best. Located under the bridge, customers will have a spectacular view of the ship channel, while enjoying just-caught seafood. Fresh seafood markets in Seabrook include Emery’s Seafood, Golden Seafood, Rose’s Seafood Market, Baybrook’s Fresh Seafood and Waterfront Seafood. For those craving something Asian Wong’s Chef and Cafe` 1979 are two local favorites and Pier 8 is a buffet style Mongolian BBQ and fresh seafood restaurant. Merlin is another great place to try, especially for those looking for something a bit more upscale. Wanting authentic Mexican food? Then Laredo’s is the place to be. Don Julio’s Mexican Restaurant and Cantina has a beautiful interior and personable staff, not to mention the food is fresh and flavorful. No time to sit and wait, then stop by Taqueria Nasa for quick taco or burrito. Wait, that’s not all! Seabrook is also home to variety of American diners, cafes and restaurants. As mentioned Tookie’s is famous for their burgers, but the Pelican Grill has been featured on the Food Network on the popular show Restaurant Impossible. Seabrook was Restaurant Impossible’s first stop in Texas, and Chef Robert Irvine gave the local diner an amazing facelift. An old-school diner experience can be found at the Seabrook Classic Cafe`; a hometown diner atmosphere that serves a great clam chowder. Sam’s Boat and Hooters are great places to watch the game or just kick back with friends. Fast food restaurants in Seabrook include many popular chains and local spots such as Neptune Subs, Donald’s’ Donuts, Village Pizza & Seafood and several national chains. No doubt those visiting Seabrook will find a great place to eat, but in addition to great restaurants and places to stay, Seabrook also has the perfect wedding destination venue; Carothers Coastal Gardens. Carothers is nestled beside one of Seabrook’s finest parks and is an eight-acre property with a main house and guesthouse plus expansive gardens overlooking Galveston Bay. While ideal for weddings and special events, it is also the perfect place to host a business meeting or lunch. 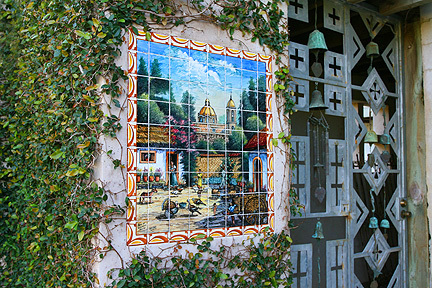 The grounds and architecture maintain the area’s Spanish land-grant history, with connectivity to the city’s trail system. The estate touts a sandy cove and tennis court that encourages guests to enjoy the pleasant outdoor environment. Guest may tour or reserve Carothers by contacting the City of Seabrook. May is the perfect month to have a wedding plus it is the perfect time to visit Seabrook and check out the largest classic car and wooden boat show in the United States. The first weekend in May, Keels and Wheels will attract over 15,000 visitors to view more than 300 classic cars and boats from around the nation, all on display at the beautiful Lakewood Yacht Club on the shores of Clear Lake. The event is both educational and awe-inspiring, it is a great chance to become immersed in automotive and marine history. For a family-fun vacation or romantic weekend getaway, come to Seabrook, Texas and enjoy the relaxed care-free environment. Seabrook may be a small town but there is plenty to see and do in this delightful community. 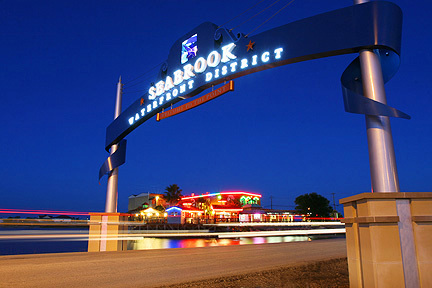 Want to learn more about Seabrook, Texas? Visit our websites!